Given KK’s highly efficient, streamlined business process, as implemented by a top-notch management team, the Company is in constant pursuit of greater customer satisfaction. 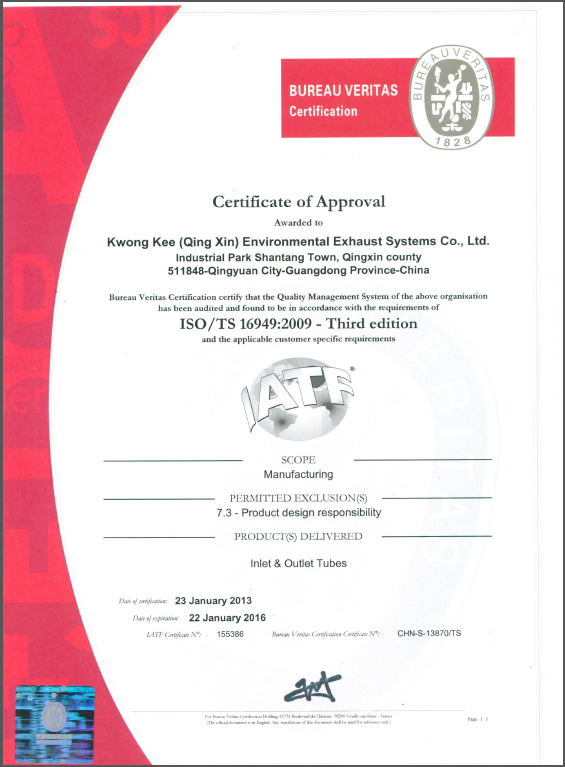 Both of its manufacturing plants have obtained certification under the ISO/TS16949:2009 quality-management system, which is the most stringent requirement for any producer of automotive products. 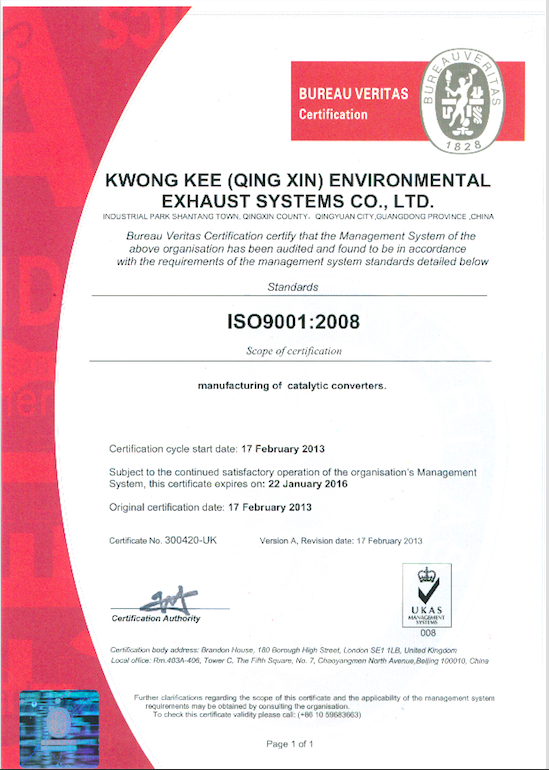 Additionally, KK has been certified in accordance with the European emission test standards II, III, IV and V.